Proud: Teh with the scale model of G Residence during the media event. G RESIDENCE is one of Tan and Tan Devlopments Berhad’s latest properties in the heart of metropolitan Kuala Lumpur. Designed to complement contemporary lifestyles, this property is developed by Opt Ventures Sdn Bhd, a joint venture company between Tan and Tan (an IGB company) and Sin Heap Lee Sdn Bhd. Positioned as leasehold on commercial title, this two-tower, 23-storey residential apartments is strategically located along Jalan Desa Pandan on a 1.46ha site with the prime units overlooking the city’s skyline. IGB head of property development, Teh Boon Ghee said G Residence overlooks Lingkungan U-Thant, backs the Polo Club and neighbours the Royal Selangor Golf Club. 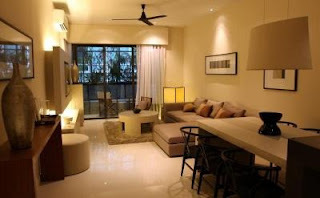 “G Residence is affordably priced at an average of RM650 per sq ft with an expected maintenance fee of 30sen per sq ft, which includes the sinking fund. The prices range between RM610,000 to RM1mil per unit. “It is surrounded by a mature township of shopoffi ces and apartments. So far, 80% of G Residence have been sold out since the property was officially opened for sales on Dec 8 last year,” said Teh, who is the executive director for IGB. He added that those who wish to buy G Residence units for investment can expect a rental yield of about 5.5%. The apartments consist of three specifi cations, namely Types A, B and C, with Type C being the largest at 1,545sq ft followed by Type A 1,400sq ft and Type B 1087sq ft. Type B would be an ideal choice for singles, who intend to start living on their own, while Types A and C would fit families with school-going children. Every unit offers breathtaking views and high ceilings, which offers a spacious outlook. Spacious: Showroom featuring a living room in a Type A unit of G Residence located at Jalan Desa Pandan, Kuala Lumpur. This is further enhanced with a non-column layout. One need not incur additional costs for an expensive kitchen cabinet as each unit comes with a built-in kitchen and Electrolux cooker hob and hood. If you love entertaining friends with your culinary expertise, you can opt for Types A and C units as it is equipped with a dry and wet kitchen for your convenience. Meanwhile, the master bedrooms have an attached bathroom fully equipped with modern fixtures. G Residence is equipped with facilities such as a multi-purpose hall, a 2,300sq ft gym with skylight, 30m swimming pool, wading pool, playground and a common garden. With 26 commercial units available at the ground and fi rst fl oor, residents can expect life at G Residence to be lively. To cater to this concept, the developer has ensured that ample carpark space will be provided for retail alone. The carpark entrance to retail outlets will be separate to ensure better security. The commercial units and apartments are only accessible via an access card. The property is scheduled to be completed in February 2015. Established in 1971, Tan & Tan Developments Berhad is one of Malaysia’s most innovative and visionary developer. The company has been the recipient of The Edge’s Top Property Developers Award for eight consecutive years and has been awarded the prestigious FIABCI Award of Distinction for Residential Development in 2002. In 2002, Tan & Tan and IGB Corporation Berhad merged, making Tan & Tan a wholly owned subsidiary of IGB, which is listed on the main board of Bursa Malaysia. The company is famous for high-end condominium living with its Hampshire Place, Cendana and U-Thant Residence. Its success story continues with the joint development of Sierramas, an exclusive guarded residential estate with KL-Kepong Property Holdings Sdn Bhd. Tan & Tan is now redefining luxury with its newly unveiled Garden Manor. Ambitious plan: Ungku Safian (left) briefing Ghani on the Mersing Laguna project. JOHOR BARU: Radiant Starfish Development Bhd plans to position Mersing town into an international tourist destination on par with Gold Coast, Bali, Caribbean and Hawaii. Chief executive officer Ungku Safian Abdullah said the town had all the ingredients to become a tourist hotspot and its potential had yet to be exploited. “I can guarantee you that Mersing town will no longer look like what it is seven years from now,'' he said at a press conference yesterday. Ungku Safian said Mersing, which was located on the north east of Johor, was sandwiched between 40 unspoiled islands and the 200-million-year old Endau-Rompin National Park. He was speaking after the signing of memorandum of agreements with YPJ Holdings Sdn Bhd, Sinohydro Corp (M) Sdn Bhd, Shengrong International Group Co Ltd and CIMB Insurance Brokers Sdn Bhd witnessed by Johor Mentri Besar Datuk Abdul Ghani Othman. The agreements entail the development of the RM22bil Mersing Laguna, which involves the building of hotels and villas, land reclamation, a water theme park and provide insurance coverage for the project. Ungku Safian said the reclamation works and related infrastructure would cost RM4.2bil and RM1bil respectively, adding that some RM17bil was required for develop the rest of project which would take seven years to complete. “Mersing Laguna is aimed at attracting tourists with high spending power and travellers who would love nature and eco-tourism,'' he said. Mersing Laguna is one of the nine projects announced by Prime Minister Datuk Seri Najib Tun Razak in Putrajaya on Feb 28 under the East Coast Economic Region. SP Setia Bhd is eyeing government land redevelopment projects as well as Permodalan Nasional Bhd's (PNB) prime landbank in the Klang Valley and Johor. In a note today, HwangDBS Vickers Research Sdn Bhd said with PNB's backing, SP Setia could enhance bids for government land and large overseas projects. It said SP Setia may also consider expanding in Vietnam, Australia and London. "SP Setia has room to landbank further with a net cash of RM83 million and RM2.8 billion record unbilled sales," it said. HwangDBS Vickers said given the improved clarity on management continuity and strong growth potential, it would maintain its "hold" call on SP Setia at a target price of RM4.50. PETALING JAYA: Naim Indah Corp Bhd (Nicorp) denies there are plans for new development projects except for what had been agreed upon with Generasi Cipta Sdn Bhd last month. The property and timber company was responding to a report on Monday in a Chinese daily saying that Nicorp's new chief executive was expected to bring in a new development plan worth RM500mil. 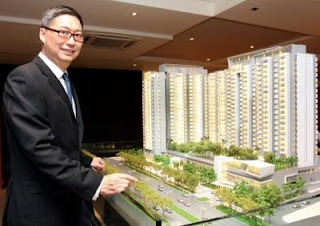 “The directors and major shareholder of Nicorp wish to clarify that there is no proposal from Datuk Raymond Chan to bring a new development plan into the company as at to date, apart from the heads of agreement (HoA) entered into with Generasi Cipta Sdn Bhd which was announced on Feb 10, 2012,” it said in the announcement on Bursa Malaysia. On the sharp increase in its share price on Wednesday, it said that the company was not aware of any reason for the movement except for the update regarding the Generasi Cipta HoA. Nicorp announced on March 7 that it had received authorisation from Generasi Cipta “to initiate, negotiate and finalise other investment opportunities in the best interest of Nicorp except on property investments and property development business”. The counter gained 26% on Wednesday to close at 65.5 sen from 52 sen a day before. Yesterday, the counter dipped 3.8% to 63 sen.
On Feb 10, Nicorp announced that it entered into a HoA with Generasi Cipta to buy 60% of Sagajuta for RM240mil. Following that, Nicorp also intends to buy the remaining 40% stake in Sagajuta that is not owned by Generasi Cipta on similar terms as agreed between Nicorp and Generasi Cipta. Nicorp added that the parties involved did not intend to undertake a mandatory general offer, seeking an exemption from the Securities Commission from it. Chan is one of the directors of Generasi Cipta and also the managing director of Sagajuta Group and 1Green Enviro Sdn Bhd. He was appointed Nicorp chief executive on Feb 29. On the same day, Sagajuta's former executive director Tan Tiang Lai was appointed Nicorp executive director. Early in February, Chan bought a 12.11% stake in Nicorp from the then largest stakeholder Crest Energy Sdn Bhd. With the Sagajuta acquisition, he and several others stand to own up to 33% stake in Nicorp via a reverse takeover from his private company Sagajuta (Sabah) Sdn Bhd. PETALING JAYA: Permodalan Nasional Bhd (PNB) has joined the ranks of global investors to buy into prime London commercial offices with its latest purchase of two properties, 90 High Holborn and One Exchange Square, bringing to four its portfolio of properties in the international financial centre. The two buildings, which come with single tenancies, were bought from German fund manager KanAm for £550mil (RM2.6bil), offering PNB an annual yield of 5.25%, a source said. One Exchange Square is tenanted by the European Bank for Reconstruction and Development, a quasi public organisation, while 90 High Holborn is the headquarters of law firm Olswang. The deals are the latest in a series of purchases by PNB since late last year. A local Malay daily reported group president and chief executive officer Tan Sri Hamad Kama Piah Che Othman as saying PNB needs to diversify its investments, instead of solely relying on the equities market. In December, PNB bought a 12-storey office space in Milton & Shire House on 1 Silk Street for £350mil from US investor Beacon Capital. In January, it bought Woolgate Exchange, on 25 Basinghall Street, a nine-storey commercial office with a basement floor for £270mil from Irish development and investment company D2, a source said. Woolgate Exchange offers an annual yield of 5.7% compared with the average annual yield of 5.25%. PNB's first foreign foray was in Australia where it bought Santos Place in Brisbane for A$290mil in August 2010 from Nilson Properties. The Employees' Provident Fund is the other fund that is buying into London. Prior to PNB's entry into foreign property investment, the EPF has been the most aggressive among Malaysia-based funds, with most, if not all, its overseas investments in Britain. In 2010, EPF said it was putting aside £1bil (RM4.85bil) for its British property investments. EPF has so far spend more than £600mil (RM3.1bil) in London purchases, with most of the properties offering a yield exceeding 5% a year. Besides PNB and EPF, Tabung Haji may be the other fund seeking investments abroad. Its overseas property assets are located in the Middle East. In the case of Tabung Haji, whatever it purchases must be syariah-compliant, which means the building must be used for halal activities. PNB manages a fund size of over RM190bil while Tabung Haji manages funds totalling about RM30bil. London has been considered a “safe haven” with investors from Europe, mainland China, Middle East and Russian investors buying into its commercial office space sector of late. PETALING JAYA: Three private investors from Sabah and Peninsular Malaysia have grouped together to develop Sabah's first over-water resort development comprising 88 villas and a restaurant 12 metres underwater located off the coast of Semporna. Known as Alorie Lepa Lepa, the villas, ranging from 2,200 sq ft to 5,500sq ft, are being sold for between RM2.8mil and RM5.5mil each with a minimum 7% annual returns for the first five years. There would be a 10% compounded interest every five years, which meant that from the sixth to the 10th year, the owner would receive a 7.7% annual return, its managing director Louise Lang said. The gross development value is RM280mil. 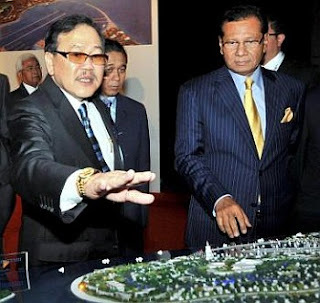 On how the private investors were able to form a company and to build on the sea off Mabul Island, Lang said the company had “acquired the submerged land title from the Sabah state government to build on the site. “The buyers will receive master titles to the villas,” she added. FESTIVAL City Sdn Bhd, a Lion Group company which aims to be a major mall owner and operator in Malaysia, is finalising a deal for a second shopping complex. Festival City, a unit of Parkson Holdings Bhd, was set up to diversify into mall management to derive a new source of income. The Lion group is no stranger to mall operations as it previously managed a chain of shopping complexes which carried the Parade brand. It also used to own and operate the Xtra hypermarket chain. 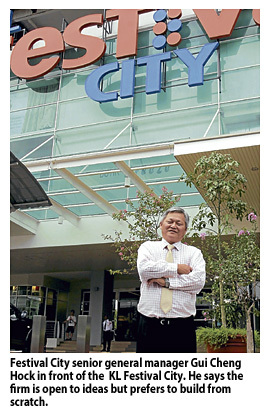 "We are finalising a second mall," senior general manager Gui Cheng Hock said in a recent interview. The mall, to be located in Malacca, is likely to be ready within three years. The group has since 2005 voiced its plans to diversify into shopping complex management. The plans finally materialised in October 2011, when it opened its first mall called KL Festival City along Jalan Genting-Kelang. The mall measures 1.1 million sq ft with a total net lettable area of 500,000 sq ft . The second mall, Gui said, will have a larger net lettable area than the first one. He explained that at KL Festival City, it was not able to cater to retailers who had wanted more space. As such, it hopes that by having a bigger mall it will not have to disappoint tenants. Asked if it plans to diversify into shopping complex management in countries where it has already established Parkson stores, Gui said it wanted to establish itself first in Malaysia. The idea is to have a successful mall that will also see its tenants flourish. Once this relationship is established, it will be easier for the mall operator to take its tenants with it when it expands. "Once the tenants are confident with our mall, we can form a core group of tenants who will come with us where ever we expand," he said. Gui sees potential for its shopping complexes in Kuala Lumpur, Johor Bahru and Penang. Does it prefer to build its own mall or to will it buy existing malls? "The direction is to look for land and to build from scratch...but we are open to all opportunities," Gui said. KUALA LUMPUR: KL Festival City, the new mall under the Lion Group, expects tenants within the mall to rake in between RM300 million and RM400 million in the first year of operations. The mall, located along Jalan Genting-Klang, will achieve this by October 31 2012. The mall will be officially launched today. The group's Parkson department store is the anchor tenant occupying a total 122,000 sq ft of retail space. Mini anchors include MBO Cinemas with seven screens, Econsave supermarket, Superstar Karaoke and TBM Electrical. Thirty per cent of the mall tenants are in the food and beverage including Nando's, Kenny Rogers , Bumbu Desa and Papa Johns. "The mall sees a monthly foot count of between 400,000 and 500,000," Festival City Sdn Bhd senior general manager Gui Cheng Hock told Business Times in an interview. The mall's catchment within a 15 minute drive is around 600,000 households deriving an average monthly income of RM4,200. The mall has gross area of 1.1 million sq ft and a net lettable area of 500,000 sq ft. The mall derives between nine per cent and 10 per cent yield, which Gui says is better than the yields derived by most real estate investment trusts of around six per cent and seven per cent. PETALING JAYA: Eastern & Oriental Berhad (E&O) has issued a statement over an article which appeared in The Star Online on March 7, 2012, entitled "Malaysia's Naim Holdings lags on analyst revisions". "Eastern & Oriental Berhad (E&O) would like to take this opportunity to share with your readers the true performance of the company to provide a more balanced and accurate report that can be substantiated by fund managers and analysts. * Local and foreign analysts who cover our stock, including some who have followed us for several years, reaffirm that the company's estimated earnings per share (EPS) for the financial year ending March 31 2012 remains between RM0.08 and RM0.11. 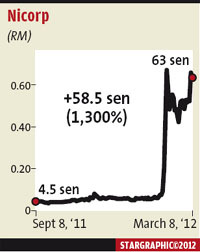 * E&O recently announced a 300% year-on-year increase in net profit to RM83.6mil for the third quarter ended Dec 31 2011. * In terms of earnings sustainability, E&O as at Jan 31 2012 has achieved unbilled sales (completed property sale transactions and bookings that are yet to be recognised in the books) amounting to nearly RM950mil which will be recognised within the next two to three years. * E&O continues with its property launches with the most recent being the first tower of the RM1.2bil Andaman at Quayside condominiums in Penang. In the heart of Kuala Lumpur's central business district, E&O's highly-successful St Mary's Residences will be completed this year and riding on this success, new launches are being planned. Down south, the company will be launching its first product within the 210-acre RM3bil masterplanned Medini Integrated Wellness Capital in the next 12 months. * E&O also has a renowned hospitality and lifestyle arm that is expanding and contributes consistently to the group's earnings, and is the foundation on which E&O's brand for exclusivity is derived. Based on these facts and figures, it is more than evident that E&O is in a robust earnings sustainability position. Most significantly, E&O is on an upward momentum to further strengthen its foothold as Malaysia's leading luxury lifestyle property development group."